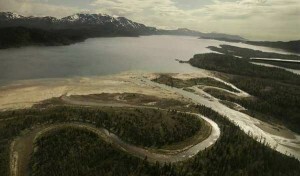 HOMEPAGE >> BLOG >> Review of Bristol Bay Watershed in Alaska: Is EPA Reaching for the Kill Switch? Review of Bristol Bay Watershed in Alaska: Is EPA Reaching for the Kill Switch? The EPA’s action underscores the timeliness of a forthcoming study by the American Resources Policy Network entitled “Reviewing Risk: The American Resources Policy Network Report on Critical Metals and National Security,” which will be available at www.americanresources.org in June 2012. For more information on Copper, one of the key minerals in the crosshairs of the EPA’s current action, visit www.coppermatters.org.